Talk about a late Christmas recap. What can I say? Does spending an all-around family weekend with nerve-wracking yahtzee thrillers [we’re addicted] and the equally fraught task of preparing a Strudel for dinner count as an excuse 😉 ? If not you’ll have to trust me I intentionally waited until today [truth!] because what could be a more amazing topic to talk about on this wonderful Marvelous in my Monday than Christmas? See, you can’t argue with that. Thanks to Katie for hosting us all throughout the year! The post title? That’s because, well, this post is all about our Christmas celebration and it’s hard to believe it is actually over again already. Way too early once more. Additionally, this year’s Christmas was unusual in a way. If I’d filled in the survey after this year’s celebration my answers might have been slightly different. More on that in a second. And the title may or may not also show my fondness of a certain Christmas movie once more. We’re going backwards in this post saving the gifts for last [not judging you if you’re too curious scrolling right down to the end – or at least not much]. Because while our main celebration always is on Christmas Eve most family activites happen on the 25th when all relatives on my mum’s side come over to my grandparents’ house. By far one of my favourite parts of Christmas and every of our family gatherings at my grandparents’, actually, is our family walk along the beach. Yes, we’re those folks who bundle up and brave the weather for a walk under any circumstances. It’s been a tradition for as long as I can think and no visit at my relatives’ would be complete without the whole family bonding and chatting on those walks. The calmth of the sea. Unplugged and also elsewise distraction-free catch-up time with cousins, aunts, uncles. Next up on our regular schedule: cookies. And, oh well, let’s not forget about Torte [yes, I know it’s just called cake, too, but the German word implies so much more for me 🙂 ], Stollen and more cake. My grandma is going all out to make sure everyone’s experiencing a sugar coma ;). Also one of the marvelous parts of Christmas? 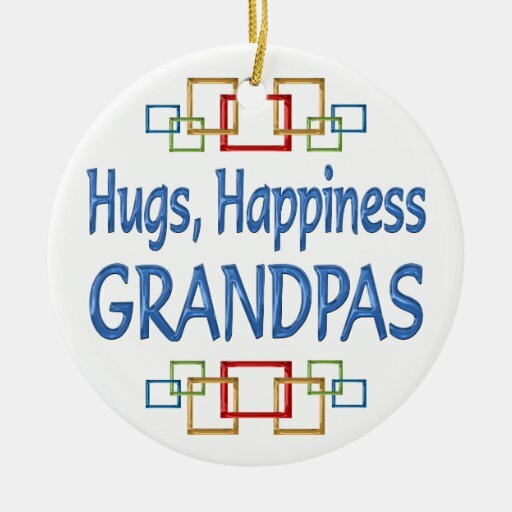 Many hugs by my grandpa. They’ve become even more precious to me after a health scare on his side several years ago. One moment can change the meaning of something as simple as a hug altogether. Maybe it’s sappy to say but family truly is the biggest blessing we get in life and while my Christmas had its annoyances and little flaws, too, I’m thankful for every moment I got to spend with my grandpa – and all other relatives. He’s the world’s best hugger – or at least the best known to me and that’s kind of the same thing, right ;)?! Two of the changes I mentioned above was that my sister and I didn’t get to decorate the Christmas tree this year and – major break with the family traditions! – we didn’t throw the dice to determine who was allowed to unwrap a gift next. Here’s to hoping we’ll get back to it next year. PJ pants! And not just any: My mum knew I’d been unsuccessfully looking for new ones for a while and decided to sew me a pair shortly before Christmas Eve. Can you tell she knows me so well [colour and dots]? Just like her and my sister are quite the talented seamstresses meaning both of them bestowed not only me but every family member with their own handiwork. When transferring the pictures from my camera to my laptop I noticed I actually hadn’t taken any pictures of my presents on Christmas Eve 😯 – and hardly any pictures at all. We were clearly too busy fooling around and wearing hilarious santa hats ;). That’s why I hope you won’t mind a few quickly snapped pictures from today once more featuring the PJ pants in all their glory [thanks, mum]. All I can say is I felt spoiled – and happy my presents were well received, too. Especially since my dad truly approved of his gift, too – a huge relief. Unsual also due to the fact it was just seven of us celebrating on Christmas Eve it was a special Christmas nonetheless. Borrowing a term by Kierston I can honestly say my heart was full. Filled with gratitude and love for all the memories made and family bonding time. Happy last Monday of 2013! Happiness inducing today: Watching my family’s delight and excitement when playing Yatzhzee – I love that crazy bunch of people. What was one of your favourite gifts to give and receive this year? Did you gift any homemade presents? I had the best intentions but ended up going the store-bought route once more. Just wait for it once the next birthday comes up, though :). I’m still taking recommendations for any occasion! Who’s the best hugger in your family? Can you believe it’s the last Sunday in 2013 already? Not to sound like an old lady but where did time go? I’d be dishing up all kinds of clichée sentences if I tried to whine about the year passing by at lighting speed but just let me tell you I do feel that way. Now that I got that off my chest: It’s also the last time I’m sharing some of my favourite posts in 2013. Not like there weren’t awesome posts every week but I somehow felt like everybody was sharing an additional lot of great posts during this last full week of the year. So the links below are just a fraction of all inspiring, helpful, hilarious and delicious posts I noticed this week. Enjoy and let me know any I might have missed! However you choose to to spend this last Sunday of the year I hope it’s a great one for you. Summing up the post-Christmas blues feelings many of us [apparently] are experiencing precisely. What is it that we expect from Christmas, really? Why wait until January 1st to commit to new goals? Stopping to diet, getting more sleep and being kind to yourself are good ‘resolutions’ to set – not just for the new year but any given day [see previous link 🙂 ]. It’s a good idea not to go overboard on the indulgences but a little extra holiday weight isn’t a shame, either. Positive thinking, food, time management and exercise: Staying true to your goals by allowing some flexibility in all areas of life. Don’t let the desire to be connected cut off real-life connections. Unplugging can feel amazing. Any runner will agree with this. Setting goals, socializing and exercise can help beat the off feeling after the holidays. For those boring [Sun]days when nobody is around. Christmas might be over but this is a cute gift idea for any occasion. Remember my mention of squash-stained Tupperware? I know I’ll definitely give this one a try. Is the Instagram diet on your list of resolutions already 😉 ? “My thighs touch because they’re still deeply in love.” – Yes to taking body woes with a grain of salt. I’m not usually one to share those ‘funny videos’ but I’m making an exception for my twerking friends ;). Shortbread has never sounded this good before. Tiramisu. Cheesecake. Brownies. Could these get any better? Spotting a theme? There can never be too many brownie recipes in one post and these couldn’t be more different from the first ones yet look just as spectacular. Elegant and featuring some of the best flavours of the season. An intriguing spin on the Greek classic. She had me at “coziness, relaxation and unique textures” – a stew for the soul. Sometimes I wonder what the blog world has done to me – or more precisely my mind when it comes to recupe creating. But to let you in on my thoughts a little more I’ll begin at the beginning, okay? In an effort to use up as much produce as possible [sounds familiar 😉 ?] before leaving for my grandparents’ house for Christmas I had to come up with some meals to use them in. My initial idea was a vegetable lasagna simply chopping up every vegetable in sight and add it to the sauce part of the dish. But when I started rummaging through my impressive vegetable stash I realized a sauce could only host so many veggies until becoming a stew. Add in that I didn’t have any lasagna sheets at hand and spaghetti [the only kind of pasta I did have] just wouldn’t have quenched my cravings. Spotting some of my favourite winter vegtables – parsnips – my mind quickly changed into strange but good mode and got spinning. * here’s to hoping I either don’t have any Italian readers or – preferably – none that will get mad at me for daring to present a pasta-less lasagna. Dear Italians: I like pasta [almost] as much as you, promise. You’ll notice this recipe – unlike my others – is not vegan. That’s because I still consider myself a vegan with benefits and couldn’t pass up the cottage cheese when it was on special offer recently. Yet another impulse purchase with no idea on how to use it in mind. Some things will never change. However, I’d seen recipe for cottage cheese lasagna before and got curious. The verdict: Pretty good. The cheese added a unique and very interesting texture – and you know that’s a key criterion for me – as well as creaminess to the dish without being too heavy like other kinds of cheese or bechamel sauce – and way faster [hello, impatience]! Give it a try if you haven’t yet. And parsnips as ‘lasagna sheets’? Awesome. Flavourful. And once more an exciting texture element. That’s all I have to say. For the sauce: If using fresh onion [recommended] sauté in a small sauce pan until translucent. Add the carrots and sauté covered for about 3-4 minutes. Add the zucchini and spices [onion powder if using it, too], stir-frying so the zucchini and carrots get browned a little. Pour in the passata and mix in the chickpeas. To assemble: Layer mushrooms into the bottom of a casserole dish. Add a layer of sauce. Top with about half of the cottage cheese. Layer parsnips on top. Cover with the remaining sauce and cottage cheese. It’s important to end with tomato sauce to avoid burning/drying out the cottage cheese. Bake covered for about 25 minutes at 350 °F. Trust me when I say this one’s not too strange to appeal to ‘normal’ eaters, either. Just maybe don’t call it lasagna but simply parsnip bake in that case. Or do however you like – because who’s listening to recommendations in anyway? I recommend, however, that you take a look at some more recipe inspiration over at Kierston’s and Laura’s for some more food fun on this fine Friday*. * my fondness of alliterations is a well-known fact by now and I’m okay with that. Happiness inducing today: A rainy weather run after two rest days over Christmas. Are you a fan of parnips? What’s your favourite way to use them? Have you ever tried cottage cheese in lasagna? Merry Christmas once more! I think it’s still apt to say on second Christmas day, right? We just returned from my grandparents’ place hence why I had part of this post pre-written before we left in case you’re wondering about the mix of pre- and post-Christmas ponderings. Expect more detailed Christmas posts during the next days. Now here’s for some Thinking out loud thanks to Amanda! 1. Does anybody else fall into the ‘post-Christmas blues’ or – to say it less dramatical – feel like there should be at least a third or fourth day of celebration added? The anticipation of a whole month of festive atmosphere – and then all of it is over in the blink of an eye. It’s obviously the same every year but I just can’t get used to it. “Finish on a high note.” – I never liked that idea. Especially not when it meant leaving people I love too early again 😦 . 3. When unpacking some gifts that I’d ordered shortly before leaving for our relatives’ place I spotted this little guy. If there’s any better sign of way too warm weather on Christmas Eve I don’t know it. 4. Almost as worse as a gift that doesn’t arrive in time is noticing just shortly before the celebration that a well-meant one doesn’t fit. Case in point: After Amanda reminding me of the Smartphone gloves in one of her previous Thinking out loud posts I’d ordered a pair each for my dad and sister as gifts. Only to try one on after opening said box above and … well … above scenario happening. Fits perfectly for my dad – whew! – but obviously not for my sister or me with our smaller hands. One size fits all? Definitely not, dear manufacturer! 5. Talking about the weather I’ll risk getting the stank eye but I was actually glad it was neither cold nor snowy. That’d have turned my favourite part of our family get-togethers a little rough. Want to know my favourite part? Our traditional beach walk. A necessity for every family get-together at my grandparents and an awesome time for long conversations and just an overall fun time with the whole family. Pictures to come for some Monday marvelousness. 7. It’s no secret that Love, actually is my favourite Christmas movie [or maybe even generally favourite romantic movie]. Hence why I was really surprised – dare I say: shocked – when my mum who’d picked it up at the rental store told me she had to request the employee at the latter to dig it out of the back room. Yes, they’d in fact semi-‘retired’ the movie saying it was a bit older already after all. Seriously? The same store that has age old worn out video [not DVD!] cases sitting on their shelves?! 8. I didn’t mention starting yet another sticker book as part of a supermarket’s campaign. Too late, though, as the offer ends at the end of the year but still. Not to play favourites but I may or may not like this one [a lot] better than the last. Just one word: Disney. 9. My sister and her husband are staying at my parents until New Years’ Day so I’m hoping fore family game nights to come. And at least one movie night with me finally watching The Holiday – yes, I still haven’t gotten around to it. Happiness inducing today: Christmas, obviously. But also my grandma sending me home with both a generous serving of her Rotkohl (!!!) and a jar of her homemade cherry jam [so so good]. Tell me about your Christmas celebrations! How long are you usually keeping up the decorations after the holidays? Just popping in quickly before leaving for the three-hour-drive [fingers crossed for free highways] to my grandparents’ house! Whether you’re celebrating today or tomorrow, with your parents, husband/fiancé, boy- or girlfriend, grandparents, aunts, uncles, cousins, cat, dog … whomever: I wish you a merry Christmas <3! Enjoy the holidays! I’ll unplug for the next days but plan on returning for some good old-fashioned Thinking out loud on Thursday. Do any of you non-Germans actually know the song I’m alluding to with today’s post title? The translation seems a bit skeevy to me so I’d be happy if you could shed some light. Nonetheless, at least for us Germans it’s true: one more wake-up until the big day. What would be more suitable then giving you another insight into the way I celebrate(d) Christmas? It’s a ‘Better late than never’ post: When I saw this survey on Amanda’s blog I knew I had to steal it and what would make for a more fitting last Marvelous in my Monday before Christmas? Don’t hate me but: no. It’s not that I didn’t like the idea. But my family never did and at least with the ones we received in past years most had a standard greeting that was repeated every year. If I care about somebody I’ll either call them on Christmas or write a longer letter. Never soon enough. Despite my best intentions that “this year is going to be completely different and I’ll start shopping/crafting at the end of October already” … it obviously never happens. Luckily not this time around. One benefit of being single [there has to be one!] ]and my brother currently working abroad is that aside from my dad and grandpa there are no other guys to get presents for. Why are men so hard to buy for? Does anybody not? Shame on them! Cookie baking is essential for me to truly get into the Christmas spirit. Do you put up a Christmas tree? Sadly, no. We don’t celebrate at home so my parents didn’t see any sense in buying one. However, there will obviously be one at my grandparents’ house. If so, is it fake or real? Oh yes! It’s sparkly, it’s Christmas-y – what’s not to like? But with no tree this year and a lack of decorations in general there hasn’t been any of that [so far], either. Why not pull it our for New Years Eve ;)?! It’s a mix of both. From straw stars and golden walnuts [hand-painted by yours truly 😉 ] to ball ornaments and little figurines – our trees are never following a certain decoration pattern. Luckily, my dad has gotten us covered in that area of decorating and seeing those makes me smile whenever I get home from work. Wait … does anybody not do it??? So: yes, definitely! Yes! Christmas Eve is the day of the main celebration in Germany. We get together with our relatives, decorate the tree together, have dinner and then play the dice when it comes to unwrapping gifts. Only those who get six eyes on the dice are allowed to pick up a gift. Since we celebrate on Christmas Eve there’s no reason to hang stockings and we don’t open any gifts on the morning of 25th. I’d be curious to celebrate Christmas that way one day, though. Another tradition our celebration on Christmas Eve has kept from us. If we had it over here, though, I’d make sure Santa wouldn’t leave hungry. Love, actually. I have to watch it every year no matter how often I’ve seen it before. This year, my mum was in for the fun. We watched it just tonight [Sunday] and agreed it was truly awesome. As of Saturday evening I’d have to say ‘Santa Baby’ – a song I’d previously undervalued. But we can’t forget about ‘Walking in a Winter Wonderland’, ‘Santa Claus is coming to town’ and, oh well, a slew of others, either. If we’re talking about songs my family actually sings then ‘Leise rieselt der Schnee’ and Silent Night. Another tough one. How about one of the most special memories instead? That’d be Christmas two (three?) years ago when we had plans of driving to my grandparents’ just like this time. However, it started snowing like crazy on 23rd so my parents decided we’d be safer staying home and we might actually not have been able to take those snowy roads. We [the ‘children’] were disappointed at first but then my parents who had hardly even decorated up until then managed to set up an awesome celebration in a matter of hours. Did I mention I love them? And I got to pick out a tree with my dad which somehow has become a task the two of us take of every year we’re celebrating at my parents’ place. It’s a dad-and-daughter thing. Do I really have to choose?! Okay, if there’s no way out then my grandma’s very special cookies that don’t even have a name – hm, I guess we should change that … They consist of a shortbread round spread with homemade jelly, topped with thinly rolled out marzipan, confectioners’ icing and a glacé cherry on top. I’ll try to remember to take a picture this year. Giving. Watching others peoples’ faces as they unwrap my presents to them and seeing them smile is making for the happiest moments under the Christmas tree. None. Are you surprised 😉 ? A huge golden star. Actually, though, only if we celebrate at my grandparents’ because the trees at my parents’ house usually went ‘naked’. White Lights or Coloured Lights? We’ve always had white ones. Will you believe I actually forgot to write a wish list this year? I have no idea what I’ll be getting. Right now I just hope for a great time with my family. It’s been too long since I last saw some of them. All of them on Christmas Eve – occasionally some from relatives we meet on 25th. Just to clarify: we’re talking worst in terms of most useless here. So … sorry to the person who gave them to me [and my mum and my sister – so basically worst gift for each of us that year ]: hand-crocheted scarves. Being extra kind and generous that relative bestowed us with a huge box of them – “Split them evenly among you, okay?”. Um, sure … Still, it was the thought that counted and that had been very sweet. This would have to be a two-part answer. First: yes, I absolutely like it. Call me odd but with the saying ‘a gift coming from the heart’ I feel the way it’s packed says a lot on terms of that. If the wrapper is loveless already it takes away some of the joy in receiving the gift. Getting to the second part: I hardly ever wrap [Christmas] gifts. My mum came up with the sustainable idea of hand-sewn fabric bags using Christmas-themed cloth when we were small children still and we’ve been using them ever since. However, I do wrap birthday gifts so that’s where the loving packaging gets in there again. No. But to excuse myself: we don’t learn that song over here. So … Rudolph … that’s about the only one I know ;). Well, no. I consider it a pretty sweet idea in movies and as an all-out romantic would ideally find my Prince Charming that way :D. Once more I don’t think the concept has spread around here [yet?] though I did see mistletoes on offer in a supermarket around here last week. No. I’m not sure if I got the translation right but it’s done by Catholics only, right? In that case: yes, it generally exists in Germany and a friend of mine did many years. But seeing as I’m Protestant I never did. Maybe not intentionally but I do slow down just a little when driving past all-out decorated houses on my commute to work and back. We had many white Christmas days though in past years they’ve become more of a rarity. It varies every year. Depending on where we celebrate [i.e. at my parents’ house, my grandparents’ or one certain aunt’s] and who’s around. Last year it was me, my two siblings, my parents, grandparents on my mother’s side, aforementioned aunt with her husband and two of my cousins, another uncle with his wife and little daughter. The whole family with more aunts and uncles as well as cousins traditionally gathers at my grandparents’ on 25th. This year it’ll be my family minus my brother [who’s abroad], my grandparents and an aunt on Christmas Eve. No. Please tell me I didn’t I miss out on much! What part of Christmas do you look most foward to? Meeting family members I don’t regularly get to see. The whole cozy and festive atmosphere. Hugging my grandpa. Happiness inducing today: Watching Love, actually with my mum. Happy Monday to all of you and I hope you’ll have an awesome time celebrating Christmas with your loved ones! What was your favourite or most memorable Christmas? And I’d be curious to hear your answer to any of the other questions, too!